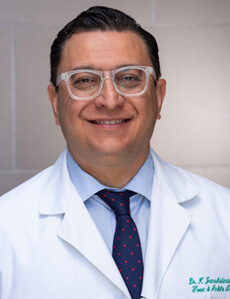 Dr. Jamshidinia at Century City Medical Plaza is a board certified foot surgeon trained in all areas of foot and ankle surgery. 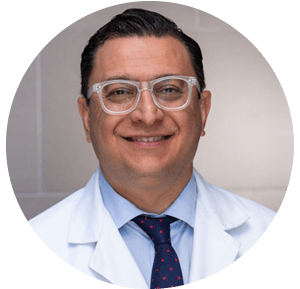 He is Board Certified by the American Board of Podiatric Surgery and a Fellow of the American College of Foot and Ankle Surgeons. 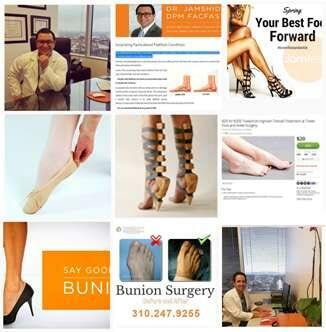 His expertise is in cosmetic foot surgery, minimally invasive hammertoe repair, cosmetic approach bunion correction, the newest surgical and non-surgical remedies for chronic diabetic foot ulcers, athletic foot and ankle injuries, sports medicine, the latest technology in custom orthotic arch supports, and joint replacement surgery for the arthritic joint. Our Los Angeles office is located in the world-renowned Century City Surgery Medical Plaza. This location is a state of the art facility which combines world class staff of Neurosurgeons, Orthopedic Surgeons, Physical Medicine & Rehab Specialists and Anesthesia Pain Subspecialists with a highly distinguished staff of Physical Therapists trained in lower extremity foot and ankle rehabilitation. Our Physical Therapy facilities are state of the art with on site full current in ground in door heated pool. Here Dr. Jamshidinia also has available to him the most state of art imaging department including MRI, CT Scan with 3-D capabilities, bone density and high resolution X-ray. Our imaging is completely digitally enhanced for the most accurate imaging results available. If you are interested in having your care at this facility please call us to schedule an appointment convenient for you. Call (310) 247- 9255 (WALK) to schedule your consultation today and request that your care be provided in our Los Angeles Location. Come in for a consultation during your lunch break or on Saturday and Dr. Jamshidinia will take time to evaluate your individual foot problem.Our offices are centrally located and all easily accessible with many nearby hospitals and parking.